Norman “Norm” F. Hapke, Jr. Norm is Chairman of the Board of the Jacobs Family Foundation and Jacobs Center for Neighborhood Innovation. Norm spent nine years as a U.S. Marine Corps Officer, first serving as an infantry officer in Vietnam and then as a naval aviator flying worldwide transport and refueling missions. After leaving the Marine Corps, Norm entered commercial aviation and served as a captain with America West Airlines until his retirement in 2005. Norm has a strong interest in public policy issues and is an advocate of self-help community change strategies and school reform. His priority is helping the Jacobs Center for Neighborhood Innovation and the Jacobs Family Foundation develop the expertise and experience to find and nurture the best programs that break cycles of economic dependency. Norm holds a bachelor of science degree in naval science from the U.S. Naval Academy. Norm is married to Valerie Jacobs Hapke, and they have two children. Valerie is a board member of the Jacobs Family Foundation and Jacobs Center for Neighborhood Innovation. 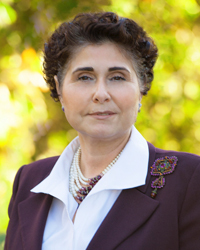 Valerie is the founder of Valerie Jacobs Consulting, dedicated to providing direct consultation support to individual philanthropists and family foundations. In addition, Valerie is a nationally-known speaker and has created a series of workshops for women of wealth and wealthy families dealing with both philanthropy and family dynamics. She has been a licensed psychotherapist since 1979, specializing in the effects of wealth on relationships and personal well-being, and has worked in the field of philanthropy since 1994. Valerie holds a bachelor of arts degree in physical anthropology from the University of California, Santa Barbara and a masters of education from California State Polytechnic University, San Luis Obispo. Valerie is married to Norm Hapke, and they have two children. 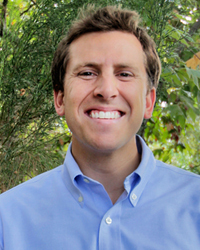 Grandson of the founders, Joe and Vi Jacobs, and son of Valerie and Norm Hapke, Andrew Hapke is the first in the third generation to previously hold the seat of Board Chair of the Jacobs Family Foundation and Jacobs Center for Neighborhood Innovation. Andrew’s work has focused on identifying innovations in the private and social sectors and translating them into viable solutions to entrenched problems. After graduating from college, he spent a year in an Americorps volunteer role with ACCION San Diego, a non-profit organization that assists underserved entrepreneurs through micro-lending. Andrew also worked in India with a social enterprise that connects rural villages with mainstream markets. Specifically, he helped conceptualize, pilot, and launch an innovative micro-finance program that supports budding entrepreneurs in villages across Northern India. After completing a masters in business administration at the Yale School of Management, Andrew founded a crowdfunding technology start up in New York City. Andrew currently works for Etsy as a Senior Product Marketing Manager. In the third generation of the Jacobs family, Claire grew up watching the work of her grandparents and parents in what would become The Village at Market Creek. Her passion for learning about new cultures and appreciation for what residents have done together have led her to join the board of the family’s foundation. The foundation will sunset in 2030 under the leadership of Claire, her brother Andrew, and the rest of the family, leaving the assets created in The Village firmly in resident ownership. An art history graduate from Boston University, Claire previously taught English and culture to students in Barcelona, Spain. 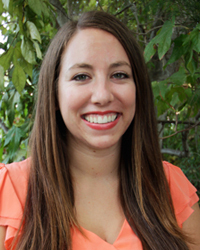 Currently, Claire is pursuing a masters and doctorate in Marriage and Family Therapy. Laila Aziz is the Director of Operations at Metro United Methodists Urban Ministry. Laila has been with Metro for over 15 years, serving in various capacities and raising over 5 million dollars in grants. Born in Long Island, New York, Laila grew up in Southeastern San Diego, attending Valencia Park Elementary School, O’Farrell Charter (formerly known as the School of Performing Arts), Morse High School, and Serra High School. With a passion for violence intervention and prevention, Laila utilized her workforce, federal regulations, and youth offender expertise to advocate for policy changes on legislation that disproportionally impacts youth and communities of color. In addition to now serving on JCNI’s board, Laila is also a board member for Pillars of the Community, Millions for Prisoners Human Rights March, and Moms of Black Boys United. Michael Brunker serves as the Executive Director of the Jackie Robinson Family YMCA. Michael was born as raised in Detroit, but moved to San Diego to pursue an assistant basketball coach position at San Diego State in 1980. Prior to joining the YMCA, Michael founded the San Diego Regional Police Athletic League, now known as STAR/PAL. Michael received his B.A in Political Science and Certificate in Secondary Education from the University of Detroit, as well as completed Harvard’s Strategic Perspectives in Non-Profit Management program. 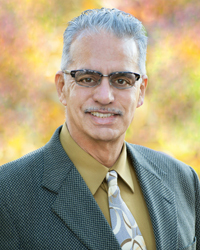 Michael has received numerous certificates, including Fundraising Management and the YMCA Organizational Leader certificate. 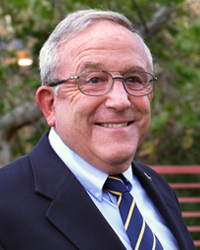 He serves his community in various capacities, including Board Member of San Diego Rotary Club 33 and President of Amateur Athletic Union of The United States. Michael’s ability to form strategic collaborations and attract others to support common goals is exemplified in his new and improved YMCA 50,000 square foot-facility. Well known as a role model in the community, Michael discovers areas of need and seeks to provide support and develop programs that address those needs. Elizabeth Bustos holds the position of Director of Community Engagement for Be There San Diego, a coalition of patients, communities, healthcare systems and others working together to prevent heart attacks and strokes in the Southeastern San Diego Community. Elizabeth received her B.A in Social Work from San Diego State University. 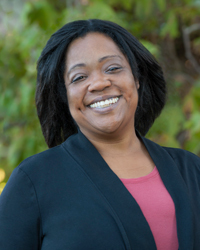 Elizabeth also serves on the boards of Mental Health America San Diego, San Diego Small Bankers CDC, and is a member of MANA de San Diego, and Live Well San Diego Task Force. 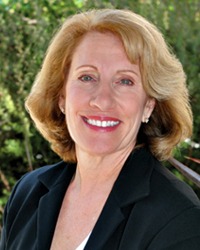 Elizabeth co-founded Southeastern San Diego Community Advisory Committee. Elizabeth has a deep commitment to advancing Health Equity as critical Civil Rights and Social Justice issues. This commitment is exemplified in all aspects of her professional and personal life. She develops and implements culturally and linguistically appropriate strategies to engage all segments of the community in decision-making for health promotion and disease prevention. Joseph “Joe” J. Jacobs, Ph.D. 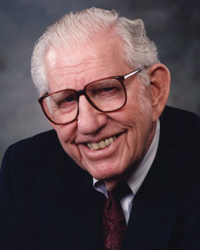 The late Dr. Joe, who passed away on October 23, 2004, was the founder and director emeritus of the Jacobs Family Foundation and the Jacobs Center for Neighborhood Innovation. He was chairman of the board of Jacobs Engineering Group, an international engineering and construction firm with approximately 35,000 employees. He developed the firm from a one-man consultancy in 1947 to its present status as a public company with revenues close to $11 billion. Inducted into the National Academy of Engineers, Joe had a distinguished career both in engineering and in humanitarian achievements, including winning the United Nations World Citizen Award in 1996. He served on many boards of directors and worked actively toward peace in the Middle East. Joe was author of The Anatomy of an Entrepreneur: Family, Culture and Ethics and The Compassionate Conservative: Seeking Responsibility and Human Dignity. Joe held a Ph.D. in chemical engineering from Polytechnic University. Vi was a founder and board member emeritus of the Jacobs Family Foundation and Jacobs Center for Neighborhood Innovation. She passed away on January 12, 2015. She began her career in advertising. Vi was an active partner in launching the Jacobs Engineering Group, working alongside her husband, Joe, in the company’s start-up years. During her daughters’ school years, she became involved in the PTA and actively raised money to strengthen education. She has served as a volunteer for the American Friends Service Committee, the Huntington Hospital, and Meals on Wheels, and as secretary for the Westminster Presbyterian Church. Vi was a worldwide traveler and an advocate for economic and educational development in her parents’ homeland of Lebanon. Vi held a bachelor of arts degree in French from Wellesley College. 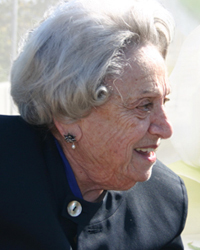 The late Meg Jacobs, who passed away on February 8, 2012, was the eldest daughter of Joe and Vi Jacobs. Meg spent many years in the field of social work, with a diverse health and human services background that included work with youth, families, and victims of domestic violence. Fluent in Spanish, she was a strong advocate for the expansion of community-based social services for Spanish-speaking clients. She provided home-based services to at-risk families in a child abuse and delinquency prevention program, and assisted in the writing of a new parent education curriculum for California’s schools. Meg served as the Jacobs Family Foundation’s first director, spearheading the foundation’s support of micro-enterprise development as a strategy for assisting families in gaining self-sufficiency. She continued to be an active participant in the foundation’s neighborhood strengthening efforts as a member of the grants team. She also assisted in hosting site visits for foundations and organizations studying Market Creek Plaza as an example of hometown philanthropy. 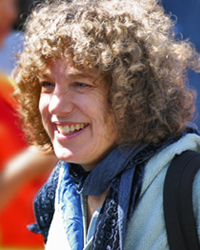 Meg held a bachelor of arts degree in American civilization from Brown University, and a master’s degree in social work from San Diego State University.